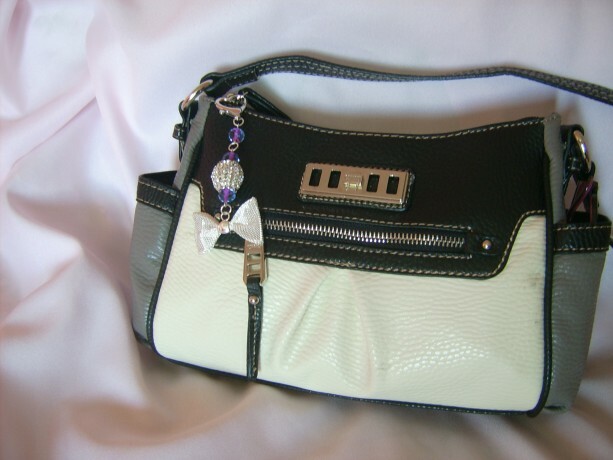 Perfectly Meshed Charm - This is probably one of the cutest handbag charms ever made, at least by me. 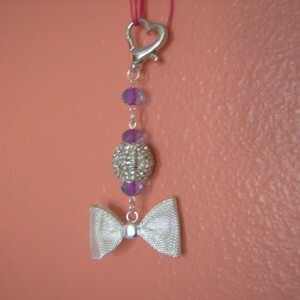 A heart clasp, gives way to this lovely dangling bead, rhinestones and mesh bow charm. 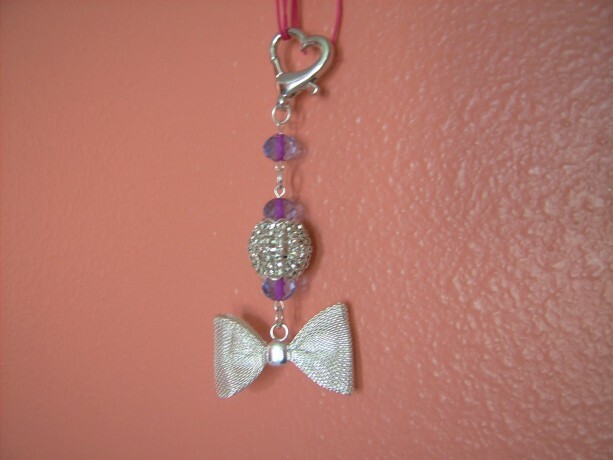 The beads are a blueberry colored crystal with a pink center to add a ribbon effect. The silver toned rhinestone spacer is one of the biggest I have seen, looks like a posh disco ball, which I attached two of the blue crystal beads on each end giving it just the right amount of color. 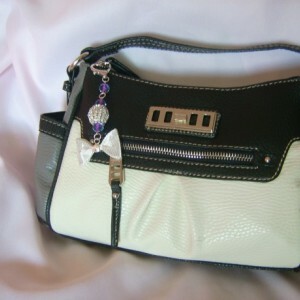 The ending charm is a silver toned mesh bow. 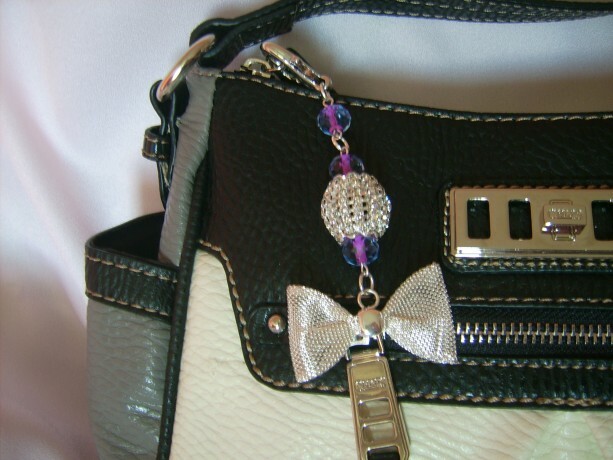 This is a diva's dream handbag charm.